DECEMBER UPDATE: We started this effort in the Spring and through all of our fundraising channels we've raised a total of nearly $450,000 of the $590,000 needed. A fantastic measure by all means but we still have more work to do. We still need $140k to reach our goal. We greatly appreciate any and all support. Please give as you are led and on behalf of everyone at Bountiful Harvest, thank you in advance for your consideration. For many of us, it would mean humbling ourselves (perhaps humiliate is a more appropriate word) to our friends and family to gain access to the most basic of needs: food and water. For others, it would mean foregoing basic needs to avoid the perceived embarrassment of the situation. The fact of the matter is that we don’t know what the future holds and it can happen to any of us at any time. Whether due to a lost job, a debilitating or terminal illness, or even special needs that are too expensive to manage, there are countless reasons why any of us could find ourselves struggling to eat, struggling to find a job, and struggling to pay our bills. And while we like to think that it will never happen to us, we need to realize that the future is uncertain and tomorrow it could be you or me who is the one in need. 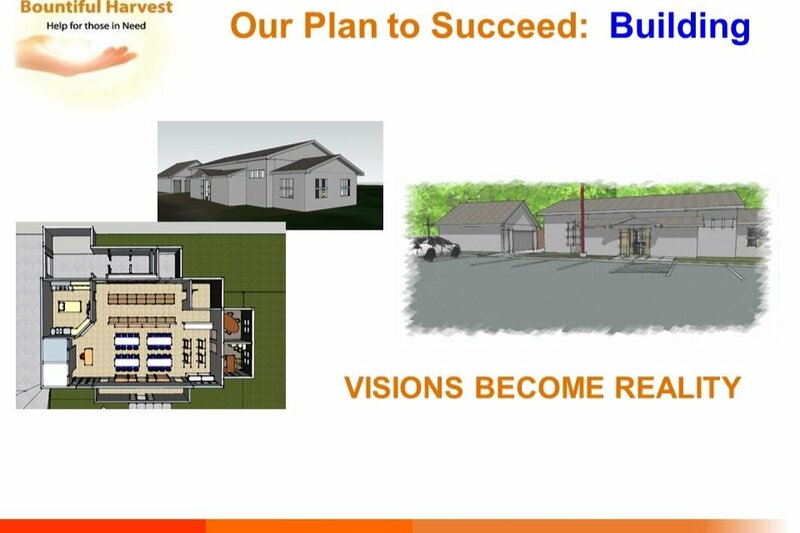 I’m incredibly thankful that God has moved the hearts of people to create organizations like Bountiful Harvest ( http://www.bountifulharvest-mi.org/) , a 501(c)3 organization that works tirelessly to meet the basic Physical, Mental, and Spiritual needs of Livingston County residents. 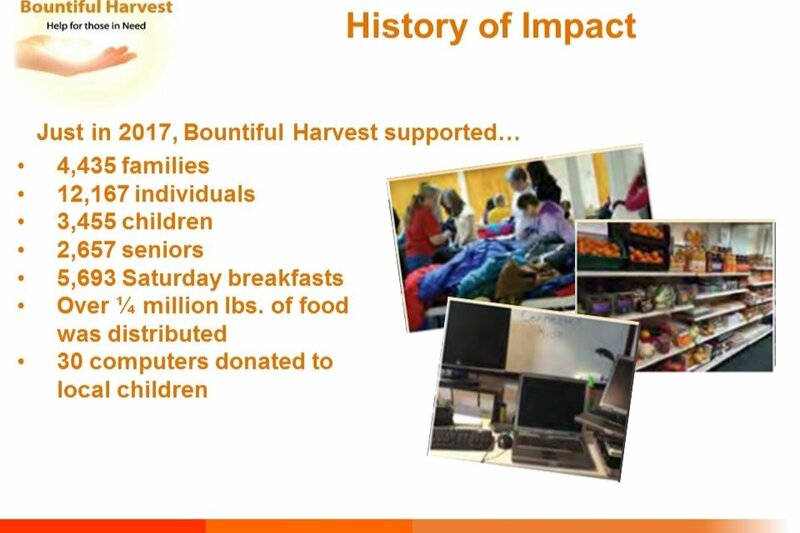 Since 2011, Bountiful Harvest has been serving the Livingston County, Michigan area providing meals, groceries, job and work skills counseling, clothes, including professional clothing for job interviews, and laptop computers to children for educational purposes. 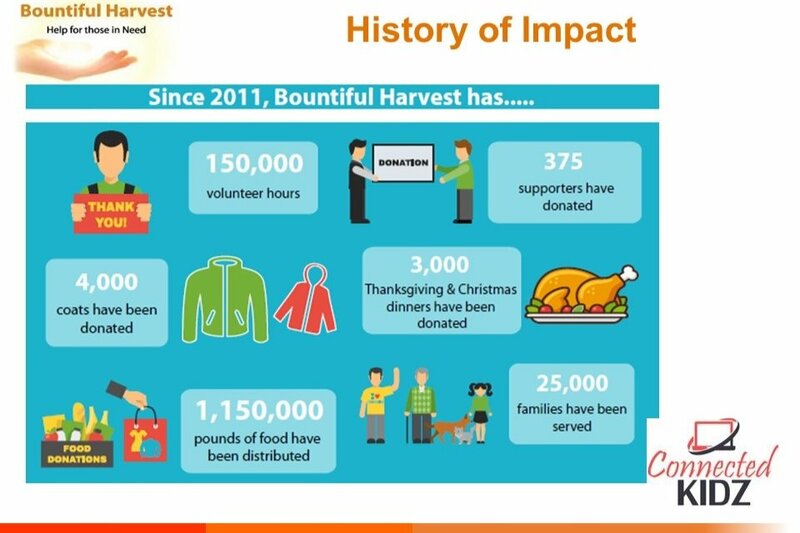 Bountiful Harvest is only able to serve the community because of generous monetary and in-kind donations and an army of selfless volunteers who donate around 25,000 hours each year. The organization operates 100% from donated goods, funds, and volunteer hours without a single penny ever going to salaries of any kind. Bountiful Harvest has relied on donations and donated space to serve the Livingston County under-resourced and homeless for the past seven years and, ironically, now finds itself homeless. To remedy this situation, Bountiful Harvest, is seeking to build a permanent location from which to serve the community indefinitely. We have in-kind and cash donations to support initial design/architectural plans for a very modest, sufficient structure but we are in need of $550,000 to take the project from construction kickoff to opening the doors by April of 2019. My family and I are working directly with Bountiful Harvest to support this building effort and I ask if you would please take 10 minutes to prayerfully consider supporting Bountiful Harvest in its time of need? 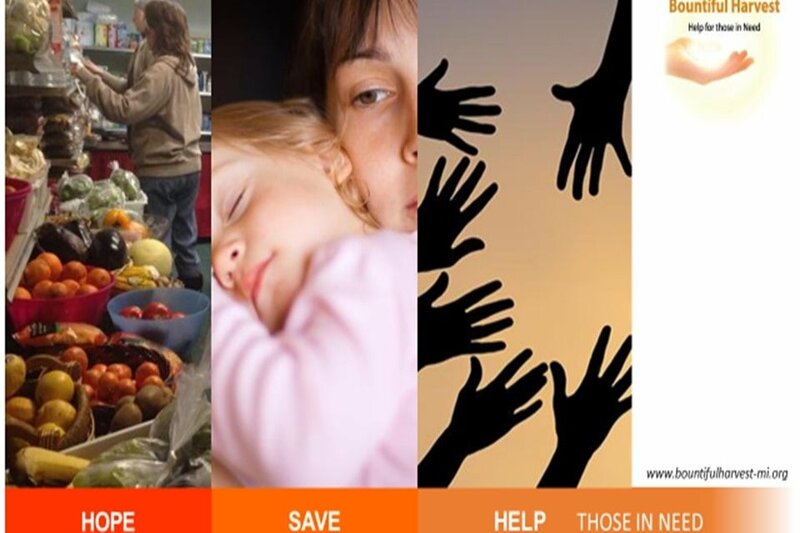 There is power in numbers and if we each simply donate even $1 and forward or share this request with all of our friends to do the same, we can reach our goal quickly and allow Bountiful Harvest to get back to serving those in need. Thank you for taking the time to consider this request and thank you for any action that you are led to take.